Are you limiting your options by making false choices? Regular readers know that I'm a psychology geek. I read widely in the discipline and use as much of the information gleaned as possible in my own life. Lately I've been reading about decision making and how false choices play into that process. We like to make complex things simple and a false choice plays into this tendency. Instead of looking at a broad spectrum of choices we narrow the options down as a way of getting to a solution as quickly and efficiently as possible. It's a way of conserving mental energy and and avoiding what psychologists call decision fatigue. Marketers study this in an intense way. Car sales people are said to present the least expensive options of a specific vehicle first to a buyer so that by the time the expensive decisions are to be made fatigue may get them to pick more expensive alternatives on the next option offered. When we purchased our car, after we negotiated the price and what it included, we were moved into a different office with someone else to sign the paperwork. What really happened....there was a high pressure sales pitch on additional options that could have increased the cost by more than 20%. When two options are presented, they are often two extreme points on the potential spectrum of possibilities. This makes the decision maker think that the options are mutually exclusive. It stops you from considering something different. 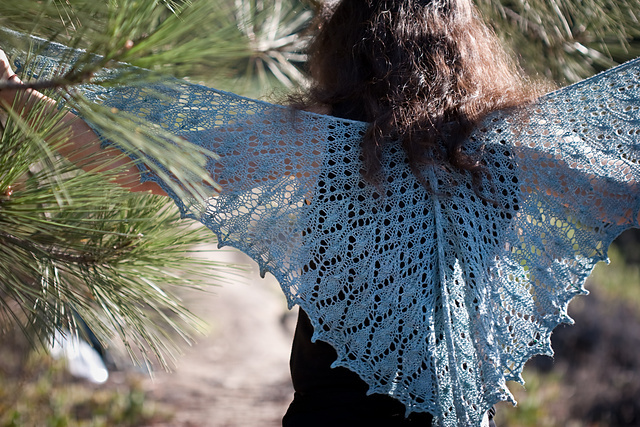 Will you knit this shawl or that one? Will it be blue or ivory? So what's the problem here? False choices create situations where other viable alternatives are not presented, resulting in missed opportunities. 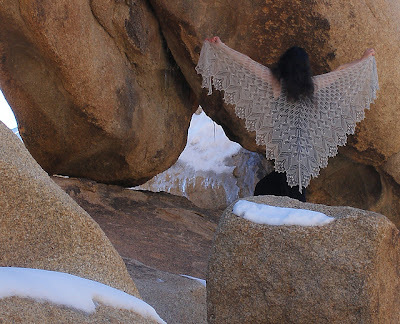 In the grand scheme of our lives the choice of a knitting project isn't that important; however understanding this process is critical in making the big decisions that shape our lives and relationships. In truth your knitting options are unlimited. You could knit both, one in each colour. Or maybe you should knit a cardigan instead?